​Background: In unincorporated areas, basic services like water, sewer, security and fire protection are usually provided by the county. Because counties often consist of large and diverse geographical areas, providing a consistent and adequate service level across all areas can be difficult. Consequently, the Community Services District Law (Government Code §6100061850) was created to provide an alternate method of providing services in unincorporated areas. 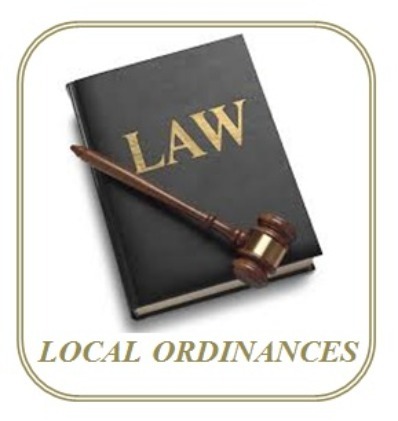 The Community Services District Law The law allows residents of an unincorporated area to initiate the formation of a community services district (also referred to as “CSD”). A CSD is authorized to provide a wide variety of services, including water, garbage collection, wastewater management, security, fire protection, public recreation, street lighting, mosquito abatement, conversion of overhead utilities to underground, library services, ambulance services, and graffiti abatement. A CSD may span unincorporated areas of multiple cities and/or counties. A CSD may issue bonds, or form an improvement district for the purpose of issuing bonds, as any City or County might do. Any bond issuance or other long-term debt will require a 2/3rds majority approval of registered voters residing within the CSD. Why is a Community Services District Needed? Small communities may not have the tax base necessary to incorporate into a city. Instead, residents must rely on the county to provide all essential services. In most cases, due to the scope of their requirements, counties cannot provide tailored services to any one community. This leaves residents with little if any local control over services and no easy way to address problems or complaints. Once a CSD is formed, the residents elect a board of local residents to oversee CSD management and operations. Through board meetings and local presence, the community has a direct say in what types and levels of service it receives. Overall this independent form of local government is able to be much more responsive to a community’s needs. How is a Community Services District Formed? A CSD is initiated by a petition of registered voters or by adoption of a resolution at the county level. A CSD cannot be formed without a 2/3rds majority vote of residents living within the proposed boundaries. Once approved, the CSD will take over functions previously operated by the county. Provision of any new services requires a majority vote of the registered voters in the CSD. How is the Annual Charge Determined? When a CSD exists, the property owner will pay taxes to the CSD instead of the county for the services provided. Taxes are calculated upon assessed value of the land and improvements and placed on the property tax bill. If the CSD was formed only for supplying water for irrigation, however, the taxes can be based upon the value of the land only, disregarding improvements. CSDs are limited to a maximum tax levy of 1% of assessed valuation unless a majority vote authorizes it to exceed that limit. Additionally, a CSD may levy taxes in excess of 1% to pay debt service on general obligation bonds that were previously approved by a majority vote. A CSD may also provide certain services only to a segment of the CSD territory. In that case, taxes for those services will be approved by and levied against the affected properties only. A CSD may also charge a water or sewer standby charge to ensure future availability of service, which in most cases is limited to $10 per parcel or acre, unless otherwise approved by law. How Long Will the Charge Continue? CSD charges continue as long as the CSD is providing services to the community.